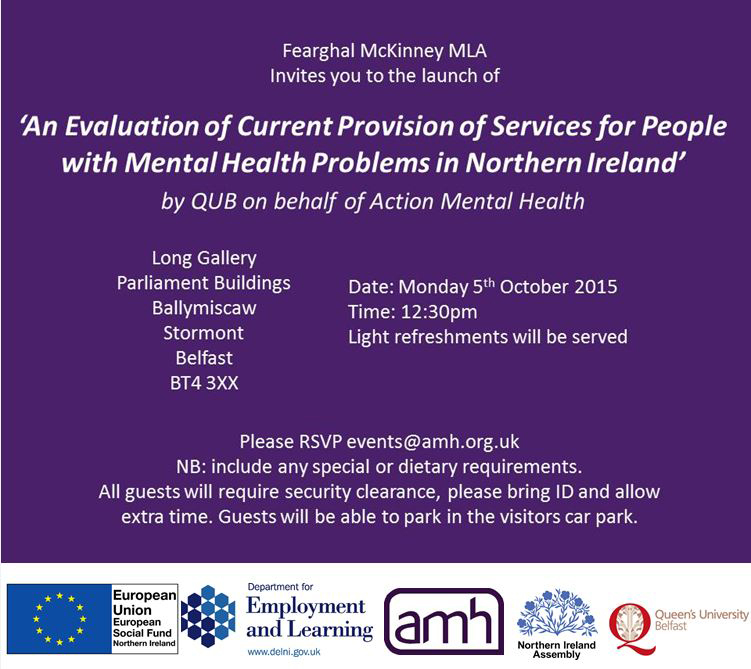 A study of Mental Health Service provision, which sought the views of service users, statutory and voluntary and community sector staff and carers across Northern Ireland will be launched at an event in the Long Gallery, Stormont on Monday, to kick start World Mental Health Week. The research report is the culmination of 18 months’ work. 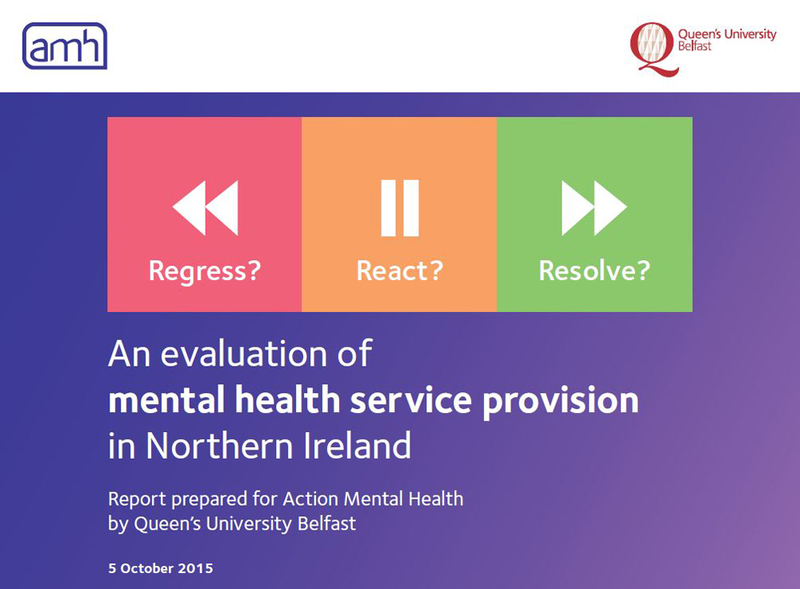 AMH commissioned the services of Queens University for the purposes of the report.